The 2014 World Cup has been consuming my time these past two weeks, and I apologize for the silence, but what a game today! Germany better wake up here, right? And today, I did just that! I made Lemon-Poppyseed Pancakes with Blueberries. In part, because I wanted to try something new; but also, because Jon is headed home for a brief visit this coming weekend, and lemon-flavored dishes and breakfast are some of his favorite things--how perfect is that? Put it all in a pancake. Why not? These pancakes can stand alone;or, add a few eggs, bacon, sausage, and/or fruit. I'd say...30 minutes tops to make a simple, but delicious, breakfast for any college student. Leftovers great for snacking later. See what you guys think! Recipe from Baking With Blondie--check out her site for delicious, consistent recipes! 2. Combine the flour, baking powder, baking soda, sugar, and salt in a large bowl. 3. 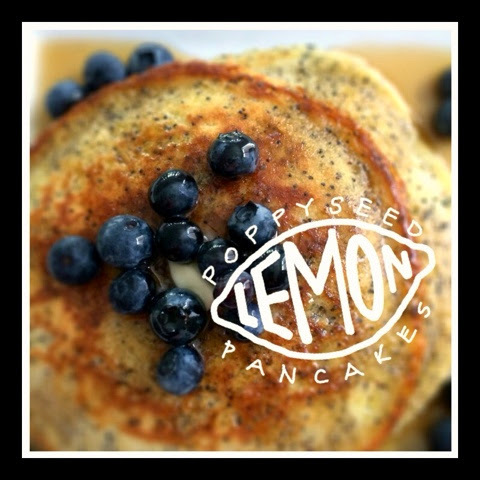 Combine the buttermilk, eggs, melted butter, lemon zest, and poppy seeds in a separate bowl. 4. Add the wet ingredients to the dry and stir with a whisk until combined. 5. Heat your skillet with a pat of butter on MED-HIGH. 6. Pour 1/4 to 1/3 cup of batter into the skillet. Remember these will enlarge and expand. Make sure you have enough space. 7. When the edges begin to bubble and bottom is golden brown, flip carefully onto other side. 8. Cook until golden brown. Remove from skillet. Repeat until the batter is gone. 9. 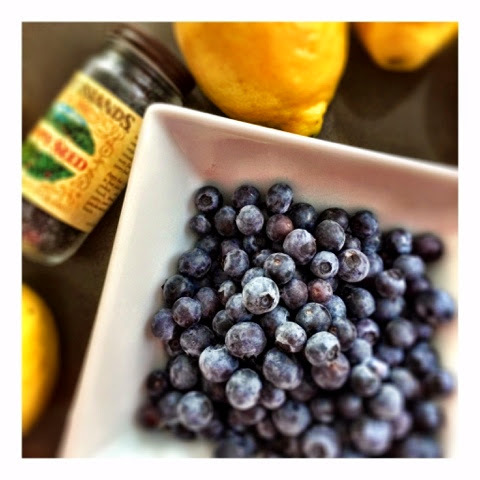 Serve with fresh blueberries, warm syrup, and a little dab of butter if you like. 10. Bacon, sausage, fruit, hashbrowns optional.